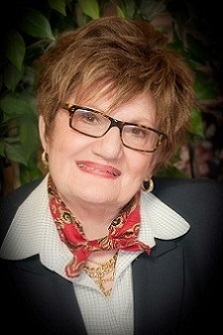 Barbara has been a strong ambassador for Bartlesville and surrounding communities since 1994. She gives back to the area with her support of the Chamber of Commerce, Salvation Army, local food mission and youth soccer sponsorship. She and her husband Bob of 49 years have one daughter and her family all resides in Bartlesville. Relationship building is the foundation of Barbara’s business. Her goal of helping people achieve their dreams through being a good listener and initiating a plan that will work for them is what drives people to her real estate services. She enjoys working with a variety of residential, commercial, multi-family, farm and ranch, and land sales platforms. When she lists a home, it gives her the opportunity to be a story teller that will encourage interest. If she is working with a buyer she gets to help make their dreams come true! Would you like to get started on your story today?